One of several Tokyo outlets of this popular Sendai-based beef-tongue specialist, this branch offers an especially wide menu. 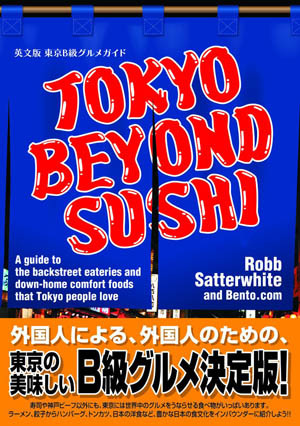 The more than a dozen dishes range from tongue sausages, meatballs, and deep-fried tongue to curries, European-style stews and tongue sushi. The piece de resistance though is the excellent charcoal-grilled tongue - a popular regional specialty of Sendai, where this small chain restaurant originates. The menu is rounded out by creative and original izakaya fare, with a nice selection of Sendai-area sake to wash it all down. 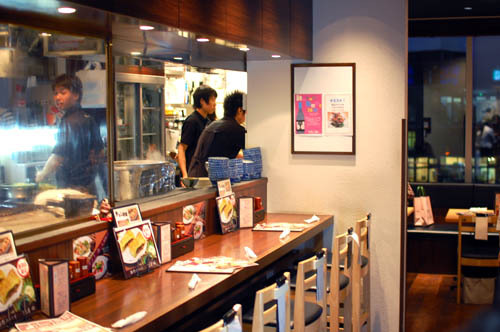 Conveniently located in a shopping complex inside Ikebukuro station, Rikyu stays open all afternoon for late lunchgoers and snack-seekers. Several teishoku-style set menus cater to diners who just want a quick meal, and in particular the "Marutoku Rikyu Set" (Y1674) is a satisfying and budget-friendly introduction to the shop's offerings. It includes a half-order each of grilled tongue and a choice of tongue curry or stew, plus oxtail soup, smoked-tongue salad and rice. The tongue curry is quite tasty - it's a spicy Euro-Japanese version, with a roux made by blending Indian spices in a French-style stew base. (Other options are the more Indian-influenced keema curry or a milder tongue stew.) The oxtail soup is pleasantly beefy in flavor, with substantial chunks of meat and lots of leeks, and some demonstratively spicy miso-marinated pickles liven up the grilled-tongue platter. If you're not in a hurry and want to explore the full menu, numerous small dishes are waiting to be sampled. Smoked tongue - part of an hors d'oeuvre plate - is beautifully spiced, and the beef-tongue tsukune (grilled meatball on a stick) is much meatier than the usual chicken version. Another favorite on our list is the kakuni stew made from beef tongue. It's simmered in red wine - an unusual ingredient for this dish - but everything works together well, and the tender, slow-cooked meat is full of vibrant flavors. In addition to the usual beer and shochu, the drinks list includes half a dozen local sake brands from Miyagi Prefecture, which is known for its excellent small breweries. Rikyu also produce their own house brand of sake, and we can recommend their daiginjo, or the three-glass tasting set if you want some variety. Toshima-ku, Nishi-Ikebukuro 1-12-1, Esola Ikebukuro 7F.